A wide range of professional building surveying services. tmd has extensive experience in a wide range of building surveying services, with particular expertise in project management, contract administration, design, and professional services such as dilapidations, party wall matters, pre-acquisition surveys and dispute resolution. We are experienced in undertaking the consultancy role for a number of commercial, industrial, hospitality, financial and educational institutions, providing advice on a wide range of property related issues. tmd has acted as project manager, designer, contract administrator and employer’s agent on a vast number of construction and refurbishment schemes, with project values ranging from a few thousand pounds to in excess of £65m. All projects are led by a nominated Director of the firm, supported by our experienced and appropriately qualified surveying staff and in-house architectural technician CAD team. We also frequently act in a project monitoring capacity, with instructions including the overseeing of tenant fit out works on behalf of landlords and the monitoring of large multi-unit developments on behalf of institutional clients. As experienced project managers, tmd work with clients from a pre-contract stage, through to on-site monitoring and post-completion reviews. tmd have extensive experience on working with both landlords and tenants for commercial and industrial premises, to name but a few. Experienced in-house architectural technicians, with an eye for design and detailed technical knowledge, enables tmd to take your initial vision and transform this from concept to completion. Frequently acting on behalf of Building Owners and Adjoining Owners, for both commercial and residential properties, tmd work with the relevant parties in protecting their rights and interests. tmd are able to provide contract administration services and play an employer’s agent role for such projects ranging from a few thousand pounds to in excess of £10m across many different sectors. Our team’s vast experience means we are able to identify and address potential project issues thereby reducing a client’s exposure to risk and solving problems before they occur. An important part of the due diligence process, pre-acquisition surveys help clients to make informed decisions before purchasing or investing in a property or portfolio of properties.  A building condition survey can be carried out in order to assess repair liabilities prior to acquisition or prior to entering into a leasehold agreement, tmd can also provide schedules of conditions for party wall matters. Rather than carrying out a full building survey, our team of experienced chartered building surveyors are often asked to carry out a defect diagnosis on a specific problem within a client’s building.  tmd can assist where required with many building disputes, often facilitating a resolution out of Court. With tmd producing feasible solutions to your maintenance issues, you will be able to maintain and enhance the property assets, optimise its value over a determined time frame. Our reinstatement cost assessments ensure our clients have the correct and appropriate level of buildings and contents insurance required. Our team includes trained CDM consultants to advise clients and assist them in performing their duties under the Construction (Design and Management) Regulations 2015. Our building consultancy team and chartered surveyors understand that effective cost management is crucial to the success and performance of a client’s property assets.